A quality tie has greater lustre, greater life and, perhaps, lends its wearer a greater sense of authority. But it’s not as easy as just spending more money. It is easy to analyse though. 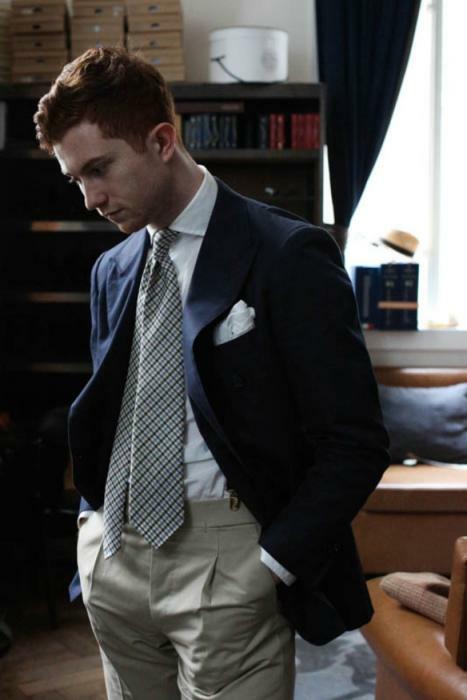 Made of silk, wrapped around some kind of lining and sewn up with thread, a tie is far simpler to break down than a suit or a bag. 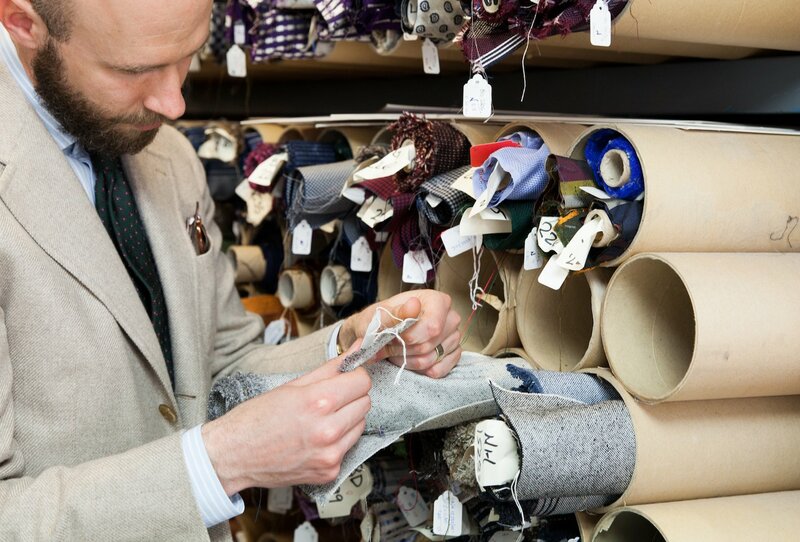 A good tie is sewn by hand. A woman (they nearly always are) carefully folds the two sides of the silk together, pins them in place and then sews it up in long, loose stitches. She must not catch the lining, and must leave a loop of excess thread at the end. 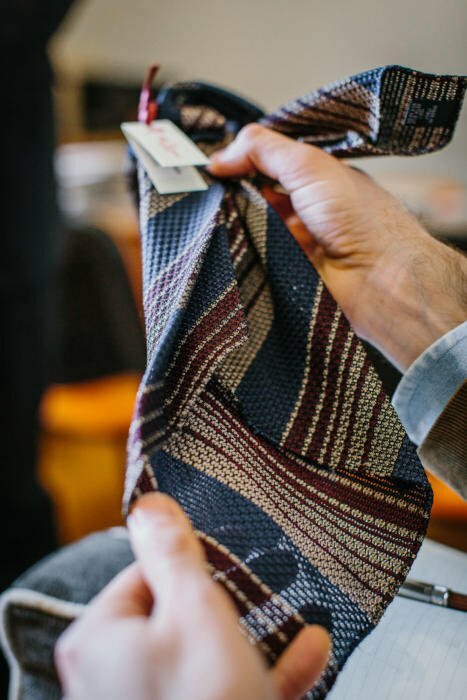 This “slip stitch” allows the tie to contract, to bunch and then regain its shape once it is hung up at the end of the day. The problem is, most ties have a slip stitch. Some are imitations (try holding the thread and pulling the tie to see if it bunches up), but this first test only cuts out a small part of the market. So next is the quality of the silk and how it is printed. Mass-produced ties use silk that is printed by inkjet. 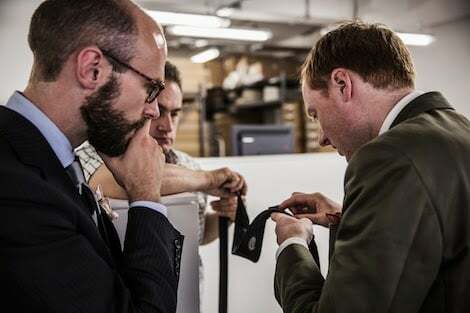 More refined producers, such as Drake’s in London, use dye-and-discharge hand-screen printing on most of their ties, where every colour layer is printed separately, penetrating it each time. “That takes longer, is more expensive and more labour intensive,” says Michael Hill at Drake’s (below, right), “but we think it produces a richer hand. 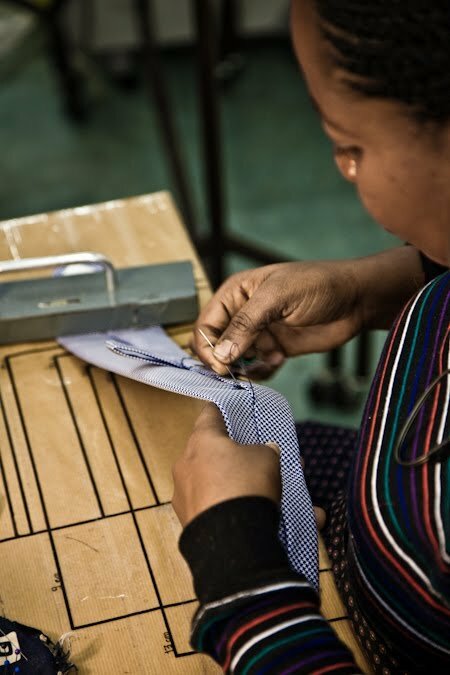 This separates out many of the luxury brands that produce ties merely as an afterthought. I won’t name names, but suffice to say that Hermès (from £135) is one of the few that handprints its ties. When it comes to woven ties, a rich, deep colour is an indicator of excellence. “Unbleached silk creates that richness, but most manufacturers don’t use it because they can’t accommodate the same volume of production,” says Michael Whitby-Grubb of Penrose. There is no easy way, however, to judge the quality of the silk fibre itself. For that, an approximation and a principle are needed. An approximation is the thickness of the interlining. When the silk is cheap, and too insubstantial to drape well on its own, makers will often put in a thicker lining to compensate. You can follow the discussion on How to buy a quality tie by entering your email address in the box below. You will then receive an email every time a new comment is added. These will also contain a link to a page where you can stop the alerts, and remove all of your related data from the site. Simon I know everyone has different body size but if you want both tie blades to be the same length (which I try to) how long should a tie be? Personally, I don’t think it matters much that they are the same length. Just as long as the thicker, front blade hits somewhere around the waist/waistband. Simon I’ve been given some beautiful vintage ties. Unfortunately despite them being high quality makers the previous owner has ironed them flat. Is there any way to get them back to their former glory? There is Tiecrafters, (http://tiecrafters.com/), an outfit in New York City, that does a great job taking a tie apart, cleaning it, and sewing it back together so it looks brand new when you receive it back in a couple of weeks. Can you list companies that meet your standard (Hermès, Ferragamo)?